With that said, it should probably come as no surprise that the designers of the ships in Star Wars were not thinking about aerodynamics when creating these spacecrafts. After all, when your ships are in space, you don’t have to worry about things like wind resistance or drag coefficients. Still, some of these spacecrafts have partaken in atmospheric battles over the course of the saga. While The Force Awakens is filled with these inter-atmosphere encounters, scenes of TIE Fighters dotting Bespin’s skies date back to the original trilogy. That brings up the question of how Star Wars ships would perform in Earth’s atmosphere if real-world physics were at play. YouTuber EC Henry, who has created several in-depth videos examining the physics of Star Wars and other sci-fi franchises, recently investigated that question and discovered that the ships of Star Wars canon are anything but aerodynamic. EC Henry recently acquired an application for Autodesk named Flow Design. This application can simulate the the environment that various vehicles can undergo, even measuring the drag coefficient of those vehicles. Drag coefficient is generally described as a number that physicists use to explain how a collection of aspects like shape and flow can affect the drag an aircraft experiences. By entering 3-D models of the Star Wars ships into Flow Design, EC Henry could then determine the drag coefficients of these vehicles. 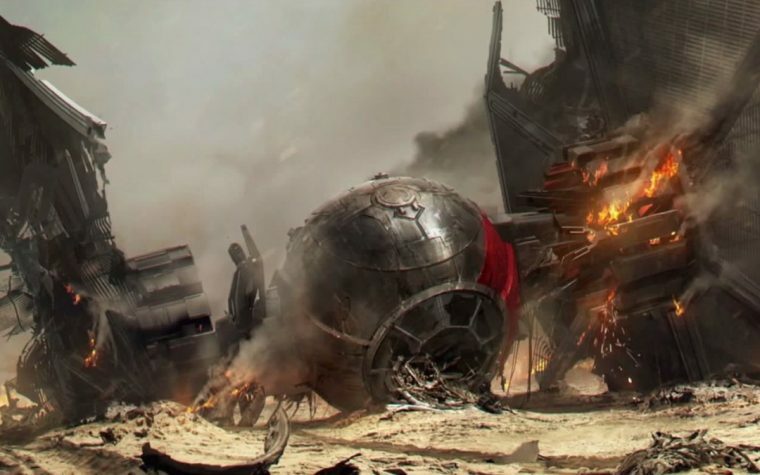 The results are not encouraging for any atmosphere-bound pilots in the Star Wars universe. A traditional X-Wing was found to have a drag coefficient of 0.45. This makes the X-Wing, long considered to be one of the most agile of Star Wars vehicles, roughly as aerodynamic as a sphere, which is to say, not a lot. It seems like newer iterations of the X-Wing from The Force Awakens and The Last Jedi are quite a bit more efficient than the traditional X-Wing. These vehicles have a drag coefficient of 0.24. 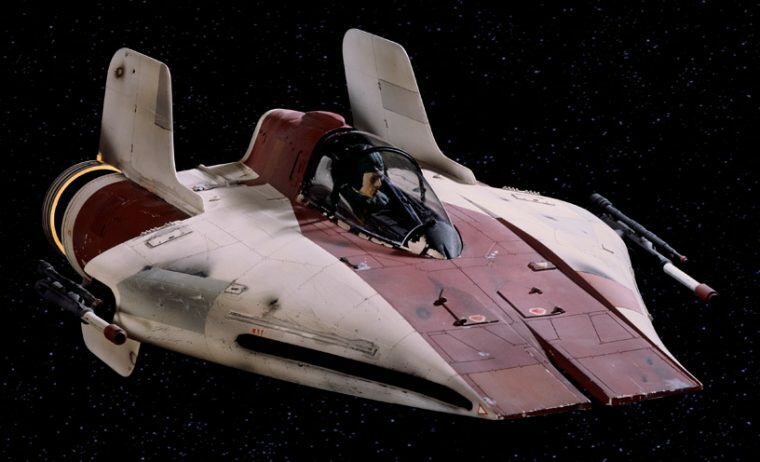 The most aerodynamic of the Rebel ships is easily the A-Wing. This smaller fighter was found to have a drag coefficient of 0.17. Aerodynamics were way worse for the Empire. To nobody’s surprise, the traditional TIE Fighter is an aerodynamic disaster, with a drag coefficient of 0.98, making it roughly as aerodynamic as a cube. The more streamlined TIE Interceptor is only slightly more aerodynamic, with a drag coefficient of 0.78. Even the newly-introduced TIE Striker, specifically made for atmospheric combat, came in with a drag coefficient of 0.48, ultimately making it less aerodynamic than an X-Wing. 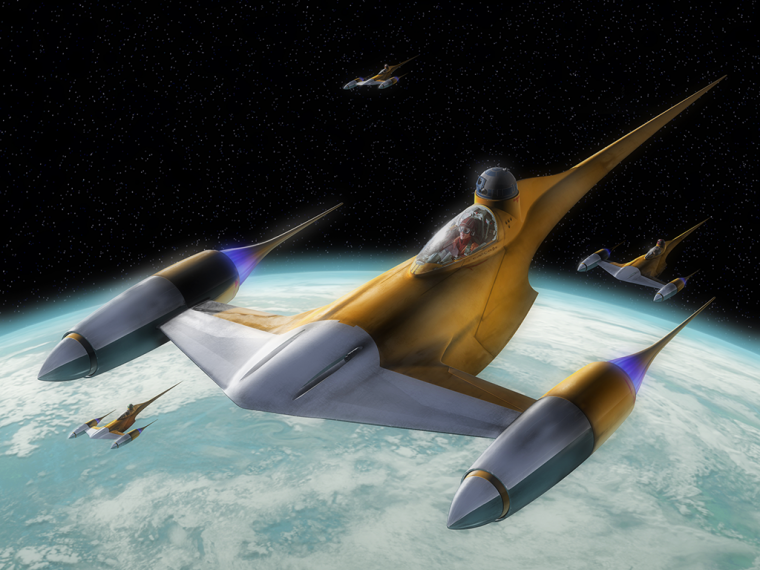 For the most efficient spacecraft in the major Star Wars mythos, look no further than the Naboo N-1 Starfighter. This vehicle was found to have a drag coefficient of 0.1. To compare these results to a real-world aircraft, the F-4 Phantom II has a drag coefficient of 0.02. That plane was introduced to the skies in the 1960s, and most aircrafts have only become more aerodynamic since then. Besides the fact that these vehicles are primarily built for space, why are their aerodynamics so awful? EC Henry hypothesizes that it is due to the abrupt aft ends of the vehicles featured in Star Wars.